This lustrous earring stands as a central figure in Jennifer's Chakra series. 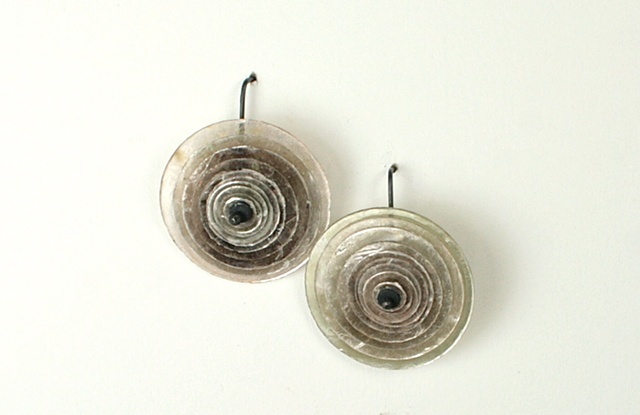 It is comprised of multiple, concentric mica circles and set on a sterling silver ear-wire. See E-CNS for smaller sized version.